Reaching Your Financial Destinations: April is Financial Literacy Month: Where Do You Stand? April is Financial Literacy Month: Where Do You Stand? April is one of our favorite months here at Destinations Credit Union. Spring is in the air and it is Financial Literacy Month. Helping our members understand and manage their money is something we are passionate about. Unfortunately, too many Americans are financially illiterate. Your credit score may be a good indicator of where you stand on managing your money. Of course, there are circumstances beyond our control that affect our credit score (such as loss of a job or medical issues), but for the most part, the better you have managed your money, the better your credit will be. If you don't know your credit score, you should find out. 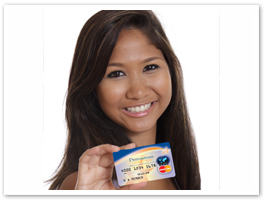 If you have recently applied for credit, see if the financial institution will share the score with you. You can get your credit report for free at annualcreditreport.com - one free per year from each of the three major credit bureaus. These reports don't have your actual credit score, but for a small fee, you can request that number. Financial Literacy Month is designed to bring attention to the need for early intervention in teaching kids and young adults how to manage their money before they have the chance to make costly mistakes that may haunt them the rest of their lives. For several years now, we have devoted some of our web resources to educating young adults through the Destinations On Your Way site. We encourage teens and young adults to learn more about their money by providing great incentives to interact with the site. This month we introduced our newest web addition, Centsables, geared toward kids ages 8 to 12. This group of super-heroes will guide kids through lessons about money in an entertaining way. There are TV episodes, games, activities, and more, all designed to help kids get the basics of personal finance. April 22 - 28 is National Credit Union Youth Week. If you haven't opened an account for the children in your life, do it now. You can even apply online. If you have children or young adults in your life that may need a leg-up in the personal finance area, check out these educational tools and share them. It doesn't cost a thing except a little bit of your time!